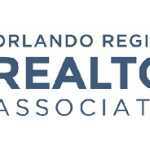 Washington, D.C. – (RealEstateRama) — The Orlando Regional REALTOR® Association inducted member Bruce Elliott, Regal R.E. Professionals LLC, as 2017 president at its Annual Awards and Inaugural gala. Elliott has been a REALTOR® since 2008 and has served in leadership roles for both ORRA and Florida REALTORS®. His service to ORRA includes stints on committees ranging from professional development (as chairman) to budget and finance and governmental affairs. He is also a member of the board of trustees of ORRA’s charitable arm, the Orlando Regional REALTOR® Foundation, and a REALTOR® Political Action Committee major investor. Secretary – Dennis Burgess, Real Estate Firm of Orlando. 2016 ORRA President John Lazenby, Colony Realty Group, Inc., will remain on the board as immediate past president. Tansy Soderstrom, Real Estate Firm of Orlando. This year’s ORRA Annual Awards and Inaugural gala was held at the Four Seasons Resort Orlando at Walt Disney World® Resort on Saturday, January 21, 2017.